Harcourts Two Oceans have been active in the valley for a number of years.Our office is centrally situated,on the corner of Ou Kaapse Weg and Longboat Road. We are passionate about property and assisting our clients whether its selling, buying or with a valuation. Please pop in to our office for a cup of tea or coffee – one of our property consultants would love to chat to you about any of your property needs, even if it is only advice you require. We look forward to being of assistance to you. Originally from Durban, Natal I lived and worked in Johannesburg for many years before being transferred 18 years ago to the mother city – which I now call my home. The customer service industry has been my background and is my passion. I have been involved in all aspects of the business from sales to management, from setting up businesses to relocating them. Real estate is all about people and I love assisting and advising in all aspects of real estate whether it be buying, selling or rentals. I was brought up in Swaziland and moved to Kwa-Zulu Natal at the end of 1969, to complete my schooling in 1971. I studied further while working in the printing and packaging industry and after 12 years became a Regional Director of a packaging company. In 2000 I changed direction and became Managing Director of a book printing and publishing company, a position I held until I took early retirement in 2007. I purchased a Printing Company in 2008 and brought on a young partner to run the business and in 2009 we moved to Cape Town where I took up a position as Marketing Manager for a company dealing with charities. I became involved in the real estate profession in July 2015 in the Bergvliet/Meadowridge area and am now pleased to say that I have joined Harcourts Two Oceans, working out of the Noordhoek office and certainly looking forward to a long, enjoyable working relationship with all. 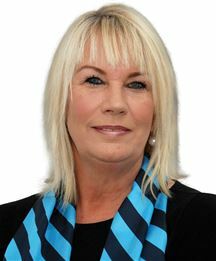 Carol has a passion for property and dealing with people. 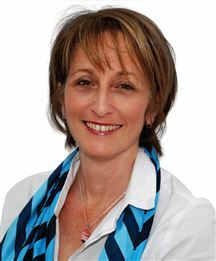 Carol’s excellent listening skills has made her a very successful property consultant by matching buyers (without wasting their time) to the correct properties suitable for them. 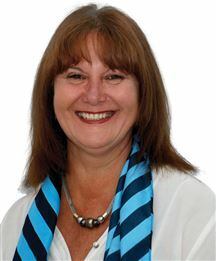 Hence, Carol has achieved very good sales figures and has recently been awarded Gold Status Harcourts Club Award Agent. 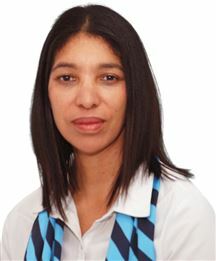 Carol is an experienced, qualified property consultant and has successfully sold property in the Fish Hoek Valley for 10 years. Having grown up and been educated in the valley, Carol has the advantage of a strong network system. Carol’s working career started as a Personnel Assistant to Marketing Director of a large corporate company. Thereafter she married and had 3 children. Carol was transferred with her husband (who was the Marketing Director of a large corporate company) every 2 years to a different province within South Africa. Carol’s experience in buying and selling many of her own properties, prompted her to follow her true passion in real estate as a full time career. 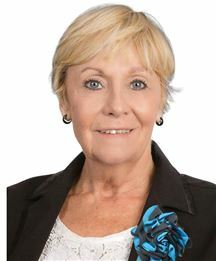 Carol’s honesty and integrity have been instrumental to her success in real estate. As a local Fish Hoek High School Old Girl Pupil, Carol has a very good understanding of the Fish Hoek Valley and the local property market. Carol prides herself on her property knowledge and her drive and ability to give a full explanation of the sales process. She realizes buying and selling property is an important and emotional transaction and is happy to take the time to ensure you are fully informed and comfortable with your decision to buy or sell. Anne and Dave have been estate agents for 31 and 34 years respectively. In 1988 they started Rattle Real Estate in Hout Bay which rapidly gained market share to become the local market leader for over 25 years. During this time they were intimately involved in the development and sale of many of Hout Bay’s most prestigious private estates such as Berg-en-Dal, Tierboskloof and Ken Rock. After having taken a few years’ sabbatical they re-entered the industry in 2011 and have since established themselves in the Noordhoek area of False Bay, with Harcourts Two Oceans, where they are Platinum award winners and market leaders. Anne is an excellent problem solver with a strong legal background. She is an exceptionally hard-working, warm and caring person, a good listener and a skilled negotiator. Originally with The Board of Executors and then as a director of the Property Agents, Dave specialises in sales and marketing. He is an excellent communicator with a great sense of humour. He is ethical, extremely hard working, has his clients’ best interests at heart and always ensures they are genuinely happy with their buying and selling decisions. Anne and Dave have both passed the Estate Agency Affairs Board Exam, the NQF4, are members of the Institute of Estate Agents and hold valid Fidelity Fund Certificates. In addition, Dave has a Diploma in Advanced Property Practice. Anne and Dave are professionals to whom you can entrust the marketing and sale of your property with confidence. They will ensure that it is sold in the least possible time, with the least inconvenience to you and at the highest possible price. Young and dynamic with lots of energy and motivation I am currently completing my internship to become a full status agent in accordance with the stringent requirements of the Estate Agency Affairs Board. My love of people and passion for property as a stepping stone to lasting wealth is what drives me to provide my clients with an exceptional customer experience. I am proud to be a part of the Harcourts family and it is really inspiring to know that I have the resources and knowledge of such a massive international brand behind me, it really inspires me to give my utmost best to my clients. The extensive range of services coupled with the technological advantage that Harcourts has, how the company values permeate the entire organization as they understand that it’s not about property but about putting people first. I have a very good understanding of the region and the aspects affecting the local property market and I will work with the Two Oceans team and the global Harcourts network to tailor make your experience thereby ensuring you are comfortable with all facets of your decision to buy or sell with me. Originally from Durban, Natal, Robyn lived and worked in Johannesburg for many years before being transferred to the Mother City eighteen years ago. A resident of Lake Michelle, Robyn now calls Cape Town her home. The customer service industry has been Robyn's background and is her passion. She has been involved in all aspects of the business from sales to management, from setting up businesses to relocating them. Real estate is all about people and Robyn loves assisting and advising in all aspects of real estate whether it be buying, selling or rentals. Nina is also a resident agent in Lake Michelle. After many years working in the marketing, sales and client services environment and coupled with her personal interest and experience in building and renovating properties, it made sense for Nina to pursue a career in Real Estate. She worked in client services in a financial corporate environment in London for two major international investment banks as part of their Sales and Marketing team for ten years, finally returning to South Africa to start her family. Her experience has proven essential and conducive to her Real Estate career. I spent my school-going days exploring the wild bush and rivers in Zambia. Arrived in South Africa, started work as a secretary and found the bright lights and buzz of Johannesburg exhilarating and exciting. Started my real estate career in Morningside in 2001 and it opened up a whole new world of achievement and personal satisfaction. I am now continuing along this path in the Southern Peninsula and still find everyday is different and exciting, meeting lots of interesting people. I have a son and a daughter and 4 grandchildren who are all so wonderful, each in their own special way. I am an avid reader which helps to escape from reality every now and then. I am a Valley girl through and through. I attended both Fish Hoek Junior and Senior School and then went on to college, after which I joined the legal world as a secretary in conveyancing & collections. My career then changed dramatically as I joined the South African Medical Services in uniform in Simon’s Town for 10 years. The time came when I felt it was time to spread my wings and own my own business. In 1997 my direction lead me to become an Agent combining selling with holiday accommodation rentals and it made for a fun start. From 2015 until the middle of 2018, I was the PR & Marketing Manager of False Bay Yacht Club, which was an exciting experience and great opportunity to meet the members. 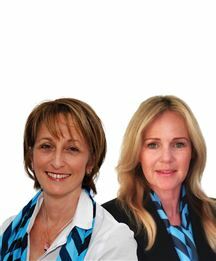 Having recently returned to property, I am thrilled to be on the team of Harcourts Two Oceans. Emigrated to South Africa in 1976 at the age of 25 with an engineering background. After 22 years as an independent financial planner running my own brokerage, I returned to the UK to pursue a business opportunity. One year later and disillusioned with living in the country of my birth, my wife and I decided to return to South Africa in 2005 where I became involved in the real estate profession. Have eventually settled down with Harcourts in Fish Hoek involving sales of property between Clovelly and Simon's Town ranging from modest flats in the valley to magnificent mountainside homes. We have an amazing fun team here and it really is a pleasure to come to the office each day. I joined the Real Estate Industry approximately five years ago after spending many years in the banking sector. I thoroughly enjoy working with a passionate team who put people first, whilst having loads of fun and laughter. With space for Granny too. Live 200m From This Beach. What A Wonderful World - SOLD! What a find in Fish Hoek? Best position on the lake!